Today I will be reviewing the LEGO Star Wars 75172 Y-Wing Starfighter. This new set retails for $59.99, but I was able to snag it on Amazon for 20% off! 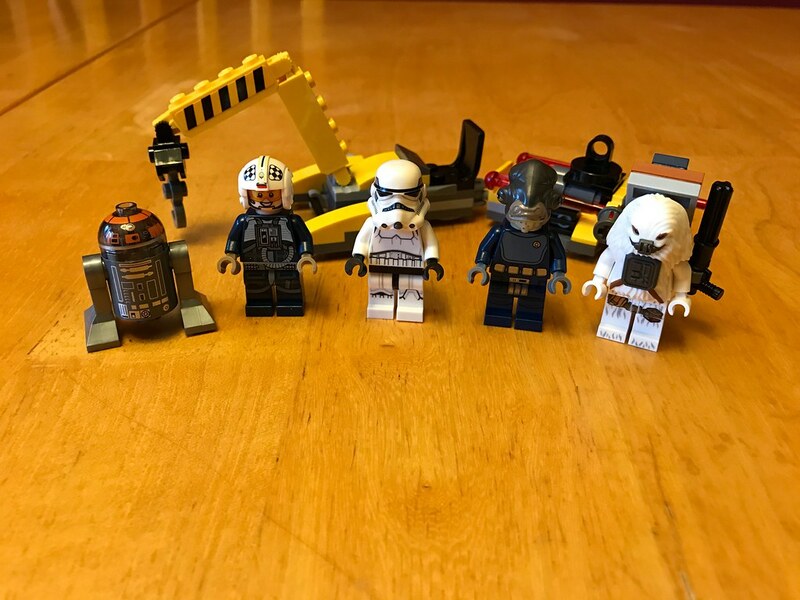 This set had me with its minifigures. They are awesome! LOVE the new Rebel Pilots in blue. The trans clear head on the R2 unit is interesting. And who can’t use more of the new stormtroopers! As good as these minifigures are from the front, they’re just as nice from the back. 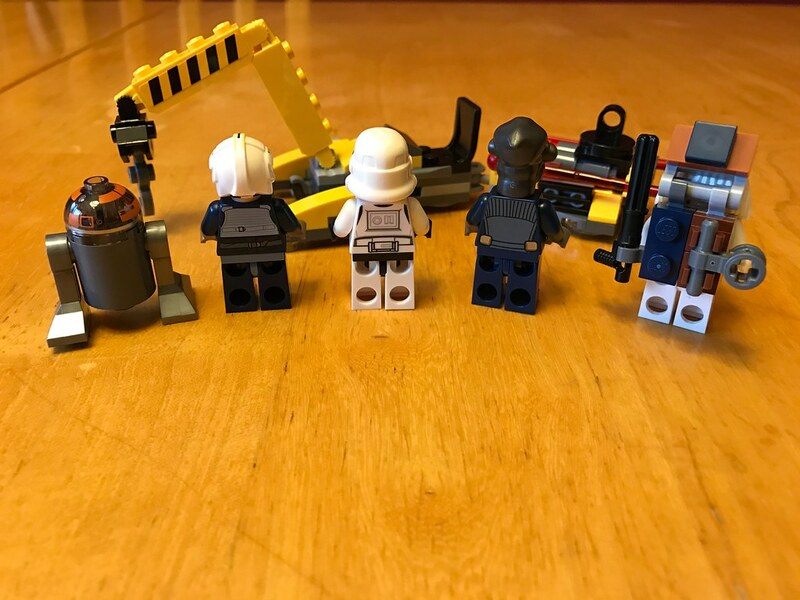 The double sided torsos is one of the best things LEGO ever did. The little missile loader cart thing is ok. It has some decent parts, but you know it was just thrown in to get the part count where it needed to be to hit a certain price point. 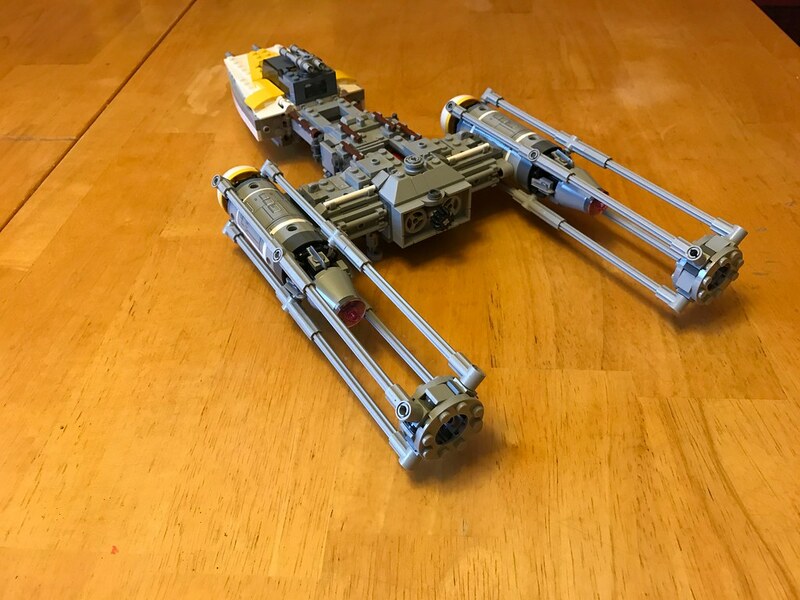 The LEGO Star Wars 75172 Y-Wing packs some punch! And some seriously greebling! 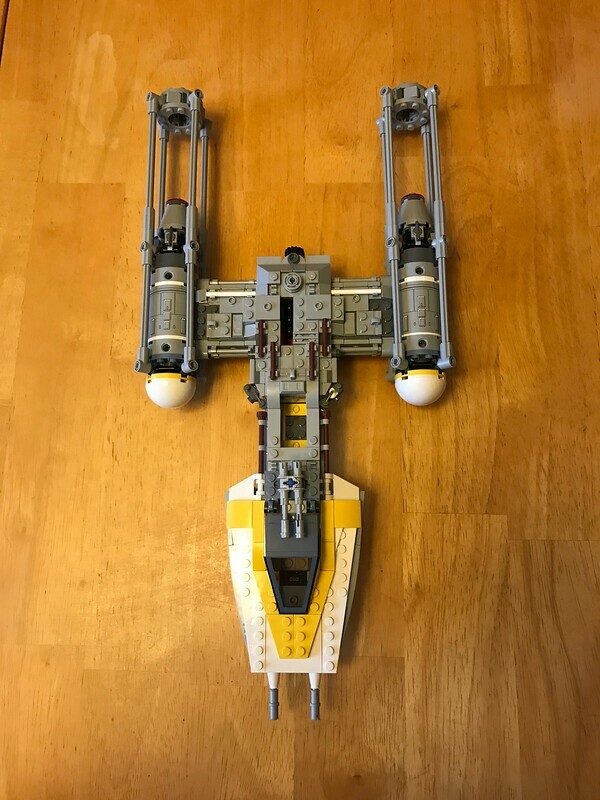 LEGO really did an outstanding job detailing this version of the iconic Y-Wing. They were faithful to the sleek smoothness of the nose and cockpit section, yet left no surface of the main body without greeblies. 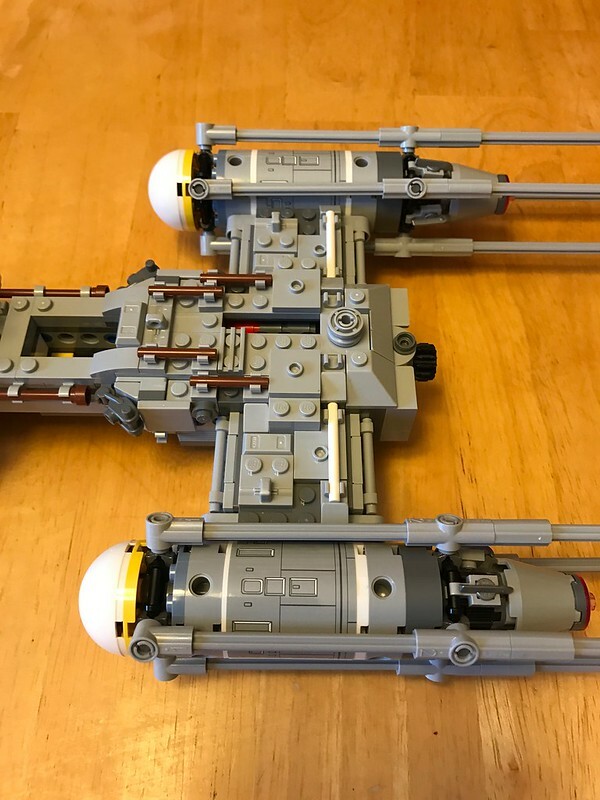 LEGO really nailed the twin engines and fuselage. I may need to break down all my other Y-Wings and build a fleet of these. I’ll have to go back and compare this starfighter to the screen used models, but if I had to come up with something wrong with it, I would say the nose looks like it might be a tad large compared to the size of the main body. The parts use on the greeblies is awesome. There is an excellent selection of various length bars in assorted colors. I’m not sure about the color brown though. I see it on a lot of studio models, so it must be in some reference pictures somewhere, but I’m yet to see them. I’ll have to keep digging. The hinge plates without hinges are a nice touch. As are the dark gray battledroid bodies. THey really help with the fuselage shaping. 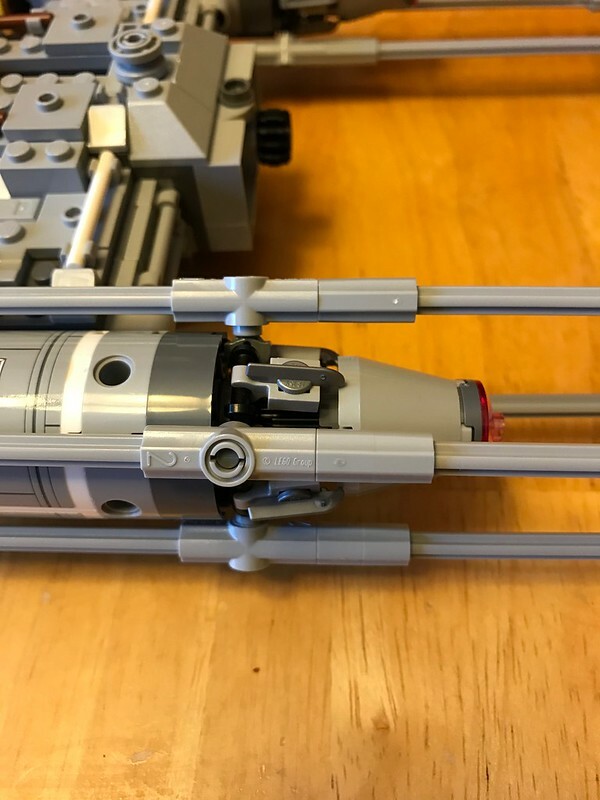 There are a couple neat play features included in the LEGO Star Wars 75172 Y-Wing like the missile compartment in the fuselage, which you can see below. You drop the missiles into the slot, and turn the black gear at the rear to load them. Keep turning the knob, and the missiles drop out the body. I guess that makes them bombs, huh? Oh well. I loved this little bit of detailing. 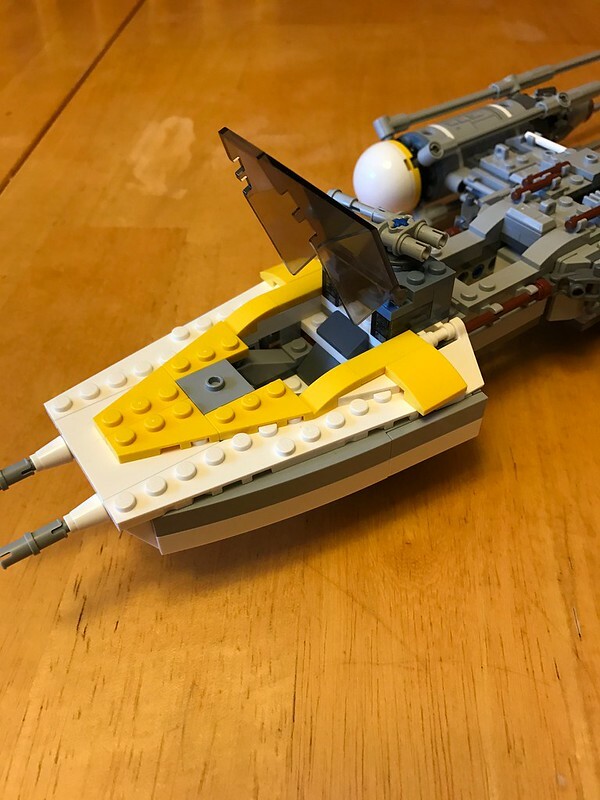 Using minifigure ice skates as on the engines! Very technical looking! This set is one of the rare sets I would have gladly paid full price for. The price is very reasonable for what you get, and the price/part ratio is well under the magical $.10 mark. 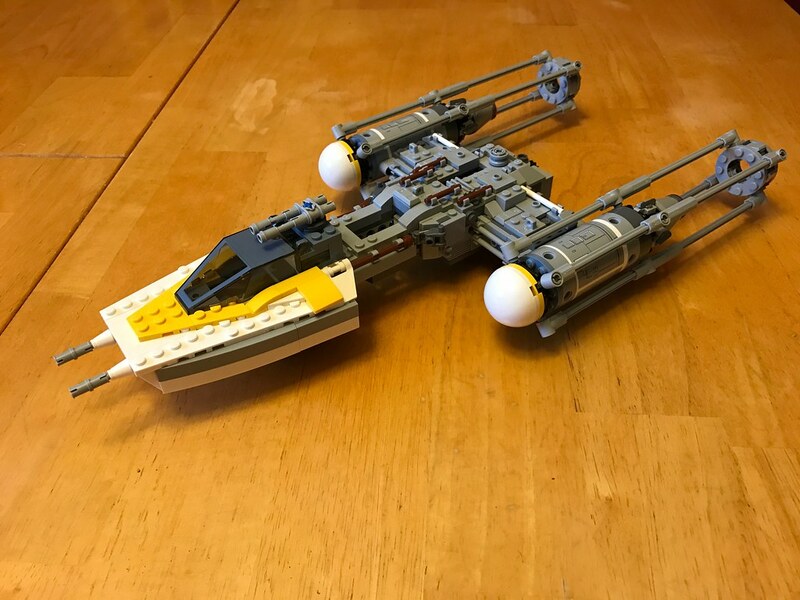 I highly recommend adding this Y-Wing to your Rebel Fleet! 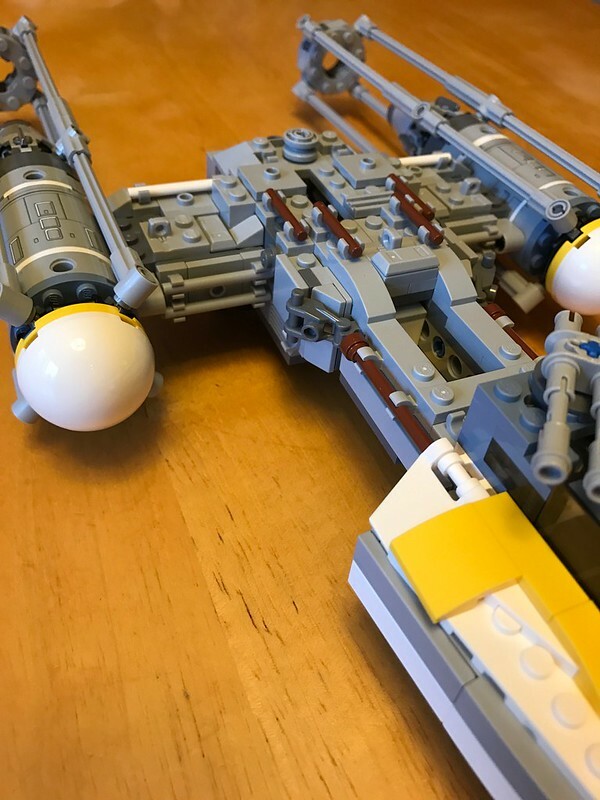 If the LEGO Star Wars 75172 Y-Wing isn’t your favorite version of the Y-Wing, which version is?